Product prices and availability are accurate as of 2019-04-18 22:37:19 UTC and are subject to change. Any price and availability information displayed on http://www.amazon.com/ at the time of purchase will apply to the purchase of this product. Author Bookstand is proud to offer Turmoil Period by Bookstand Publishing. Bookstand Publishing offers books by the best indie authors throughout North America and the world. Bookstand Publishing is dedicated to offering original content to a broad audience and promoting great authors, literacy, and freedom of expression. Turmoil Period has generated a lot of interest and excitement and we think it would be an excellent addition to your library. This is historical fiction about a Chinese girl who was forced out of her seaboard hometown to the mountainous Hakka area during the Japanese invasion of southern China during World War II. 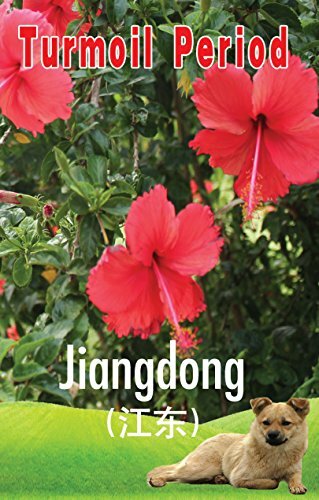 It is a fictional story told in documentary style that describes the lives of real Chinese families who lived from 1937 to 2012. 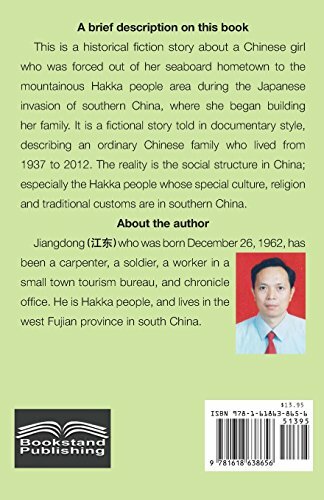 It shows the social structures in China, especially among the Hakka people whose whose special culture, religion and traditions predominate in southern China.